We are a locally owned and operated removalists company based on the Sunshine Coast, Queensland. Our business is built on customer satisfaction and a caring attitude to our customers furniture and possessions. We have been helping people move into their new homes and offices for more than a decade and take pride in the thousands of clients who have trusted us with their local or interstate move. We deliver experienced and friendly removal crews, competitive prices and service with a smile. 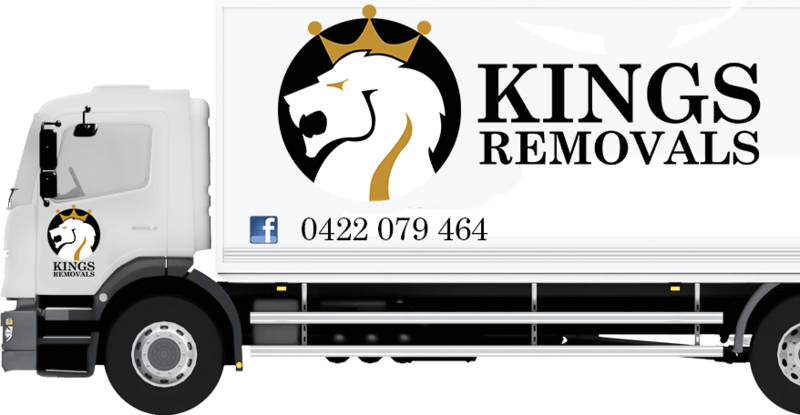 Kings Removals offer their service across the entire east coast of Australia. From first box to final load, we handle everything with the utmost care. We can also take the stress out of moving by packing and unpacking your possessions. Interstate or local removalist job, we are reliable and professional. Whether you have a beach side apartment in the heart of Noosa or an 8 bedroom house in Buderim, we can manage moving all house sizes and configurations. With well over decade of experience and thousands of removals under our belts we are a removalist company you can trust. Just ask our clients. At Kings Removals we specialise in office relocation in the Sunshine Coast and Brisbane areas. We understand that moving a business can be stressful and we ensure your furniture and equipment is moved reliably and carefully every time. We’re a reliable team that care about making your move as stress free as possible. We also offer a complete pre-packing service. This price is inclusive of all the pre-packing materials required and our time and labour. All prices for removal are based on reasonable access* on both pickup and delivery. Kings Removals liaise with our clients on every aspect of the home or office relocation. We take pride in our professionalism, reliability and customer service, and carry this into every aspect of our business. We deliver you a stress free relocation experience every time. For more information read our moving tips. Flexible, efficient and reasonably priced. Great people to deal with also! Kings Removals have full transit & marine insurance. Please note that all goods carried and/or stored are at the owner's sole risk. We recommend a full accidental damage transit cover for your goods. Our preferred insurer is jGi INSURANCE BROKERS. Please note that pursuant to the Financial Services Reform Act, we are unable to provide quotes relating to insurance. Payment options are Cash, or Credit Card. All payments must be made upon pickup. Should you have any further queries or wish to make a booking, please do not hesitate to contact us on 0422 079 464. *Reasonable access is classed as no more than 1 flight of stairs (12 Steps), and no more than 30m from your door to where we can safely and legally park our vehicles.